Categories: Mythical Pears | Tags: comic, disaster, fruit, humor, illustration, mean surprise, Pear people, pears, surprise, trojan horse | Permalink. Categories: Mythical Pears | Tags: comic, drawing, fruit, Hercules, humor, illustration, mythical pears, Pear, pear person | Permalink. Categories: Mythical Pears | Tags: cartoon, comic, humor, illustration, mtyh, mythology, Pear, Pearseus, Perseus | Permalink. Categories: Mythical Pears | Tags: comic, illustration, magic, merlin, pear person, sorcerer, sorcery, wizard | Permalink. 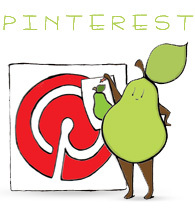 Categories: Mythical Pears | Tags: cartoon, illustration, mythical pear, pear person, Persephone | Permalink.